In web or mobile app design, user flow is the way that a visitor becomes a registered user. To maximize the probability of a user signing up, you need an effective flow. 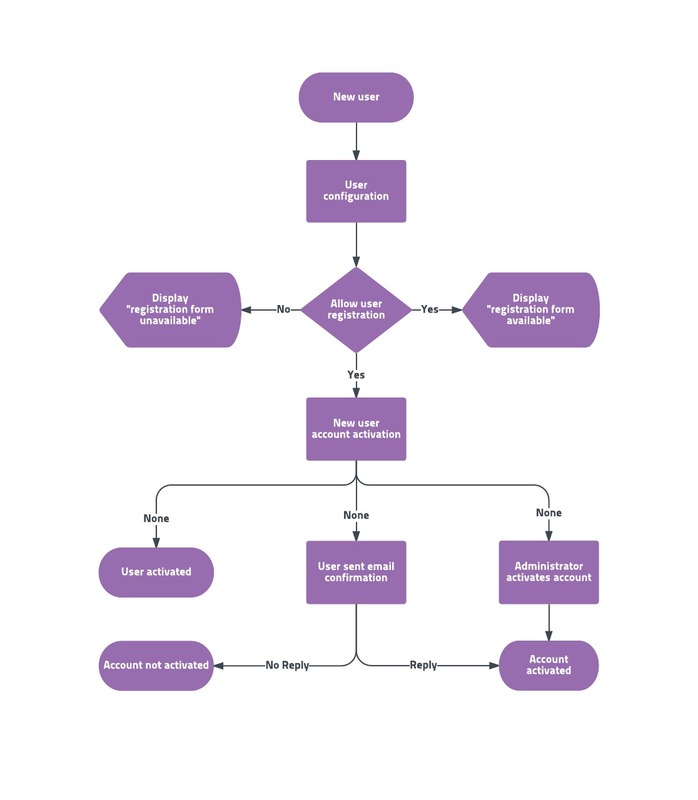 This user flowchart example shows what a typical flow looks like. To plan or analyze your own user flow, you can just edit this user flowchart template. Start by signing up for a free Lucidchart account, then add or remove shapes and text to get the perfect flow for your users.